Development is based on communication through language. With more than two thousand languages being used in Africa, language becomes a highly relevant factor in all sectors of political, social, cultural and economic life. This important sociolinguistic dimension hitherto remains underrated and under-researched in 'Western' mainstream development studies. 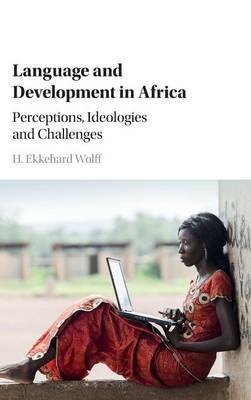 The book discusses the resourcefulness of languages, both local and global, in view of the ongoing transformation of African societies as much as for economic development. From a novel 'applied African sociolinguistics' perspective it analyses the continuing effects of linguistic imperialism on postcolonial African societies, in particular regarding the educational sector, through imposed hegemonic languages such as Arabic and the ex-colonial languages of European provenance. It offers a broad interdisciplinary scientific approach to the linguistic dimensions of sociocultural modernisation and economic development in Africa, written for both the non-linguistically trained reader as much as for the linguistically trained researcher and language practitioner.